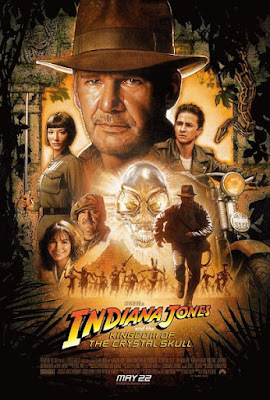 This time, we find that Indiana Jones isn't the only treasure hunter prowling the streets of Peru in this nod to one of the daring archaeologist's possible cinematic ancestors in Indiana Jones and the Kingdom of the Crystal Skull. ...note the trio of shady-looking characters loading up their mules to the right. They seem to be gearing up for their own adventure, perhaps out to find a vein of gold? 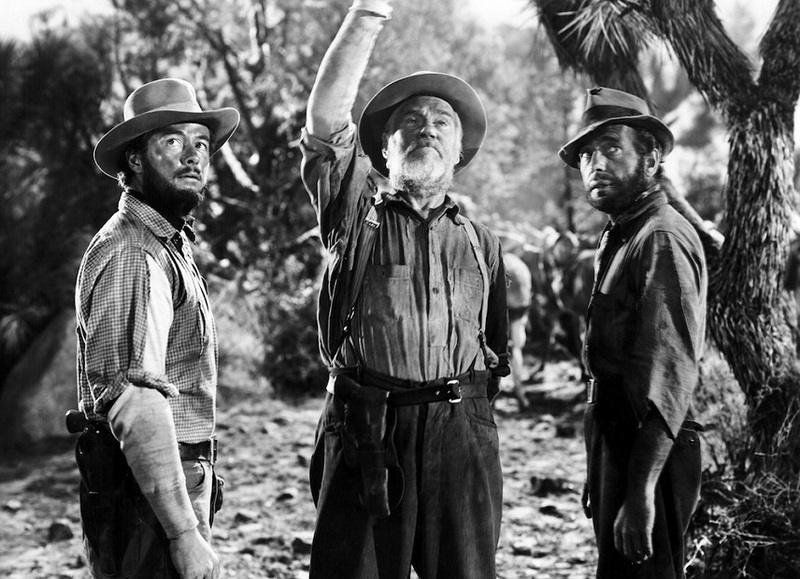 Look close and you'll see that it appears to be Fred C. Dobbs (Humphrey Bogart), Curtin (Tim Holt) and that sly old-timer Howard (Walter Huston) from John Huston's The Treasure of the Sierra Madre, though they seem to have gotten a bit lost on their way to Mexico. Huston's gritty adventure has often been cited as an inspiration for the Indiana Jones series (check out Bogart's familiar-looking headgear), even if Dobbs doesn't quite measure up in the hero department when compared to Professor Jones. ...that seems perfectly in character for the paranoid and unstable fortune hunter. Let's hope those interdimensional aliens don't want to see any stinkin' badges.